Help each child glue together two toilet paper rolls using a piece of construction paper. 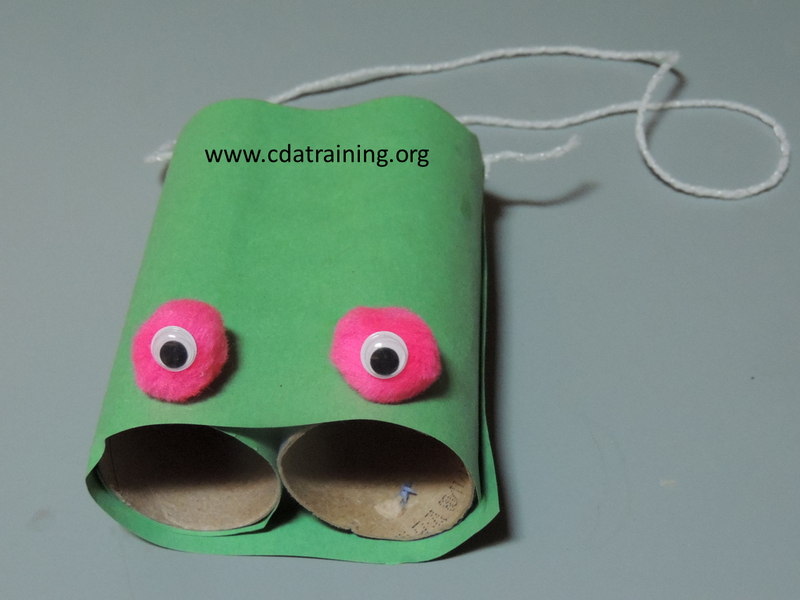 Provide art supplies for them to decorate their binoculars. When they are done decorating, punch holes on the side of each pair of binoculars and tie a piece of string through the holes so that the children can wear the binoculars around their necks.